I like to learn new things all the time. Sometimes those things are big, sometimes not so big at all. This week what I learned leaned more to the latter — yet interesting to me just the same. 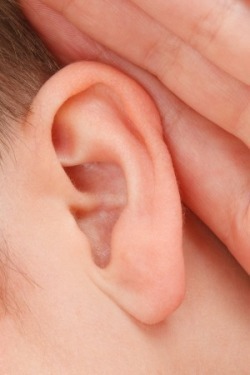 Did you know that your earlobes provide skin to be used to replace facial skin removed due to skin cancer? I did not know that, but now I do. The story isn't mine to tell, so I can't share in full, but a loved one of mine had skin cancer spots removed from her face this week. Those spots were deep and wide and in need of skin to cover the (literal) holes left by removing the bad stuff. I'd been told the likely source for skin replacement was her earlobes. I imagined her having her face patched up but no longer being able to wear earrings as her ear lobe was cut off, split open like a chicken breast then the fillet stitched to her face. Thankfully that's not how it works. Instead, small slivers of skin were sliced from her lobe — which remained fully attached — and carefully placed on the spots in need of coverage. Who'da thunk it? I've never felt strongly about Ms. Amos one way or another. To be honest, I can't even think of a song title or even a snippet of a tune of songs that she's sung. That said, though, I've always thought of her — if I ever thought of her at all — as being much younger than me. Well guess what? I learned (from AARP magazine) that Tori Amos will be 50 next Thursday. FIFTY! That's just too weird to me, for some reason. It's kind of like learning that Pee Wee Herman is, well, he's ... (Googling it real quick) ... Ohmigosh! Pee Wee Herman/Paul Rubens is 60! Sixty-one on the 27th, actually. Not that that's old, but so not what I expected for Pee Wee. Kind of makes Tori Amos seem such a baby. Jim has been trying his darnedest for years to attract hummingbirds to our yard. Considering how abundant they are in our area, you'd think we'd have at least a few stopping by our place. Nothing for years. Then last year we got one. ONE! All summer long we saw only one little guy sipping on one of the hummingbird feeders in our yard. Because of Jim's determination to attract the hummers, Megan and her family gave Jim for Father's Day a pretty new hummingbird feeder, a book on attracting them, and a sweet little swing the birds would supposedly swing away on. Well, the book helped, as we finally — finally — have several hummingbirds visiting not only the pretty new feeder but our old one, too. The swing? Meh... it's cute and all, but we never expected it to be much of a draw for the hummingbirds. Oh my, were we wrong. Those little guys and gals love it. They're not only hummers, they're swingers, too. And one in particular swings long enough and often enough for me to get some pretty darn cute photos of her merrily swinging away. As you can see, the lessons weren't huge or life-changing — well, the ear one was for one person I know — but they are indeed what I learned this week. Enjoy your weekend! I look forward to connecting again come Monday!